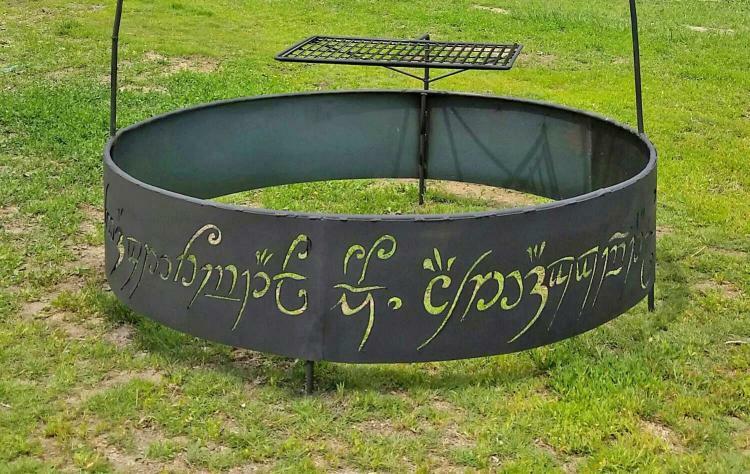 This fire pit is made to look like the One Ring from Lord Of The Rings in that it has inscribed text on the side of the panel that is only readable when the flame inside the fire pit is lit, just like how the actual One Ring is only readable when it's hot. Well not really, because you could technically read the words when it's not lit if your really tried to, as the fire inside the pit just makes the words come alive and makes them easier to read. 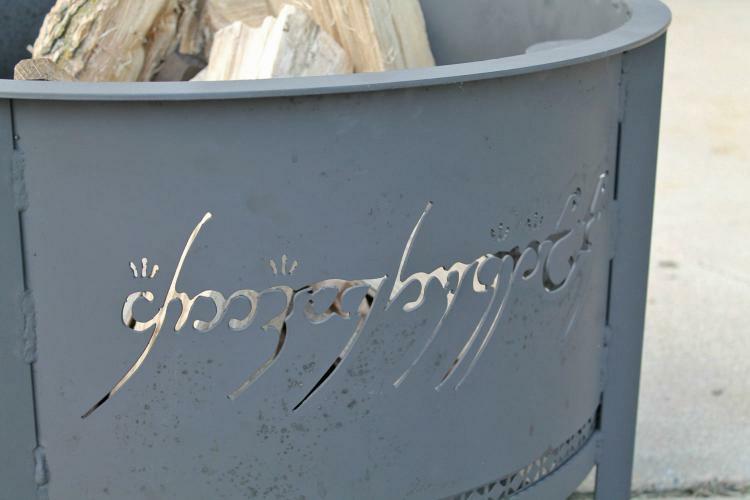 Ok, so that's not entirely true either, because the text isn't even written in a language that you know, so really you could never read the text on the side of the fire pit unless you're some greasy nerd who's studied the LOTR movies and learned 'Black Speech'. 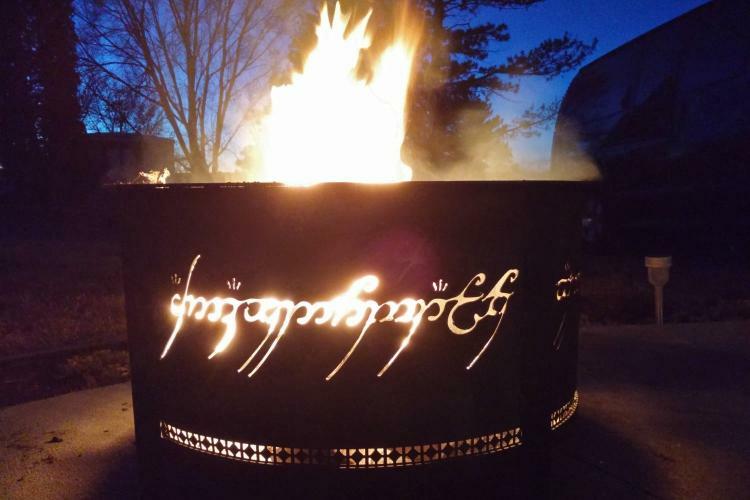 No, that's actually not a racist remark implying greasy nerds should learn how to speak jive, 'Black Speech' is the language that is inscribed onto the One Ring. 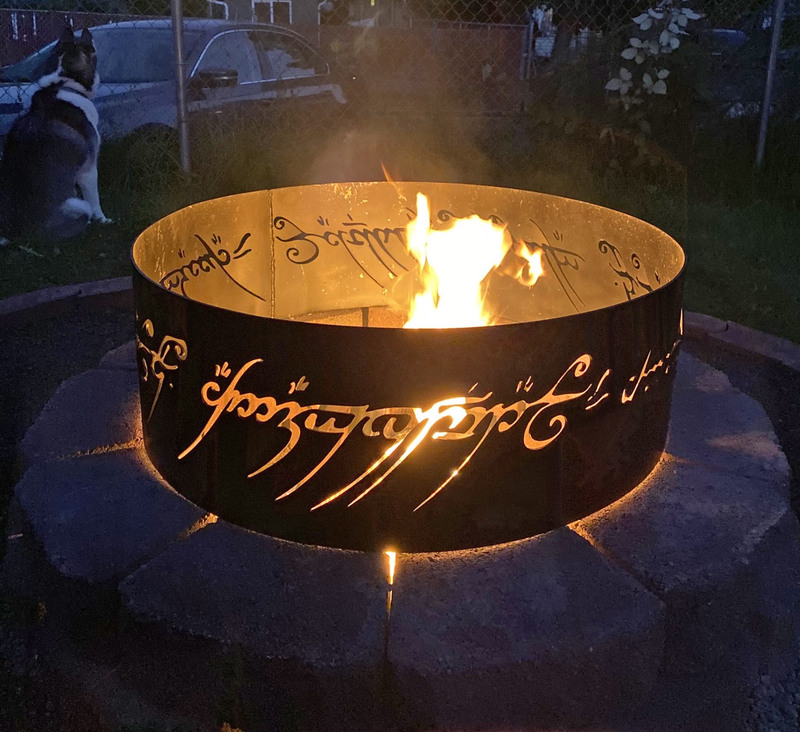 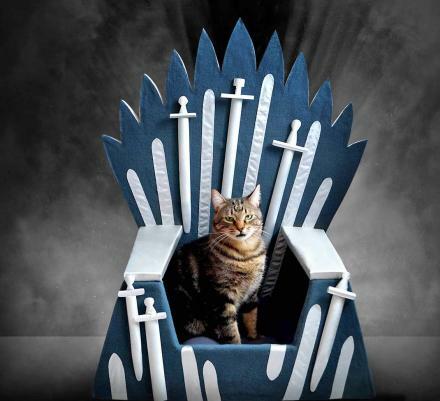 The Lord Of The Rings Fire Pit is hand made from 16 gauge steel along with a 12 gauge steel bottom, measures 26 inches in diameter, and would make a great gift idea for any true Lord Of The Rings fan. 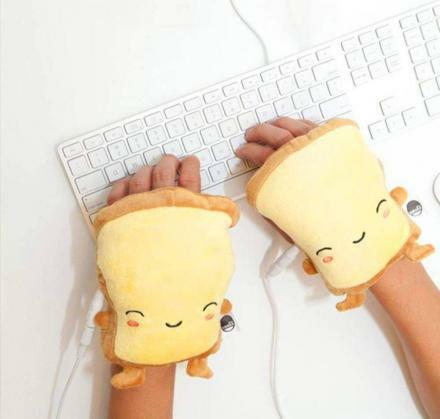 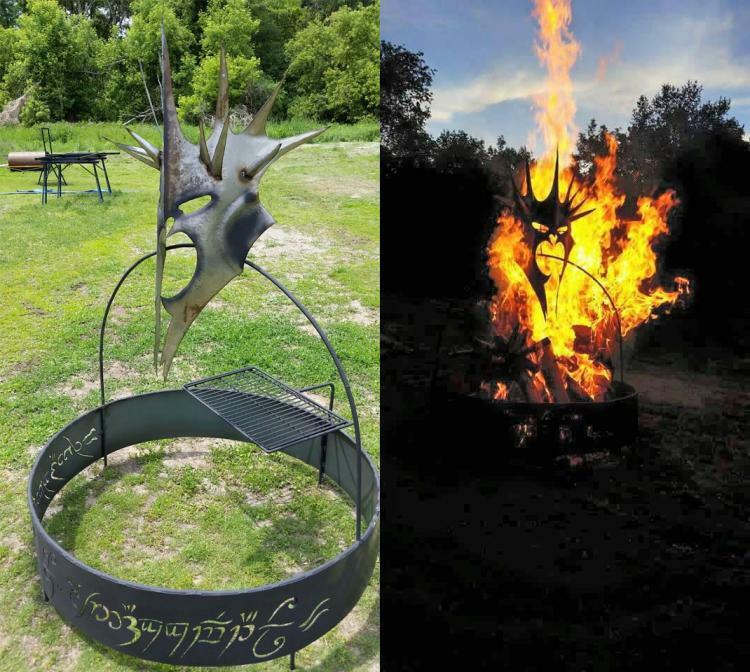 A good way to tell if someone is a true LOTR fan is if you rub a napkin onto the nerd's forehead, if the napkin turns transparent, he's a true LOTR fan. 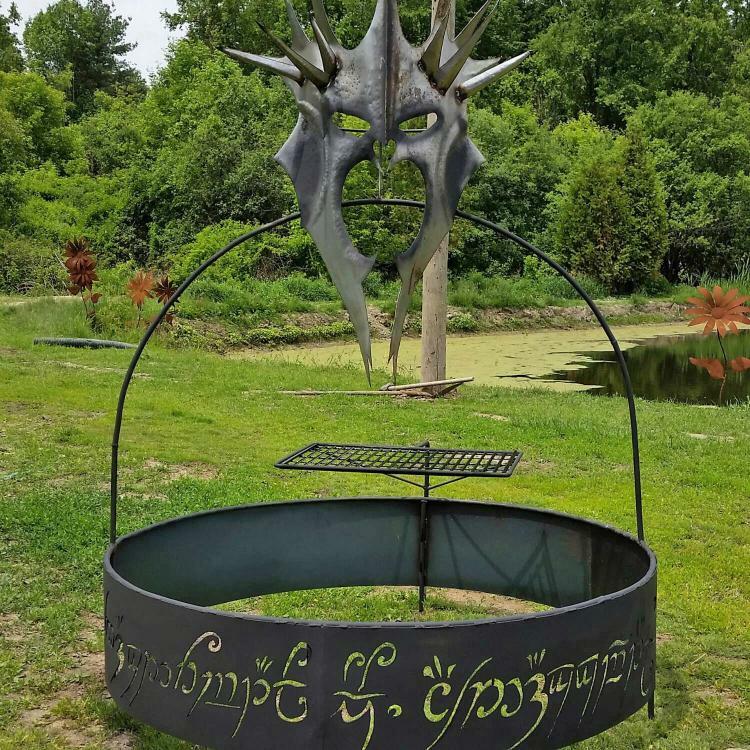 Also, be sure to check out this other Lord Of The Rings fire pit that has the same concept with the Black Speech text inscribed around the paneling, but this one doesn't have a bottom, and has the Mask of the Witch King mounted above the fire pit so that the flames go through the mask, making it look extra awesome and nerdy. 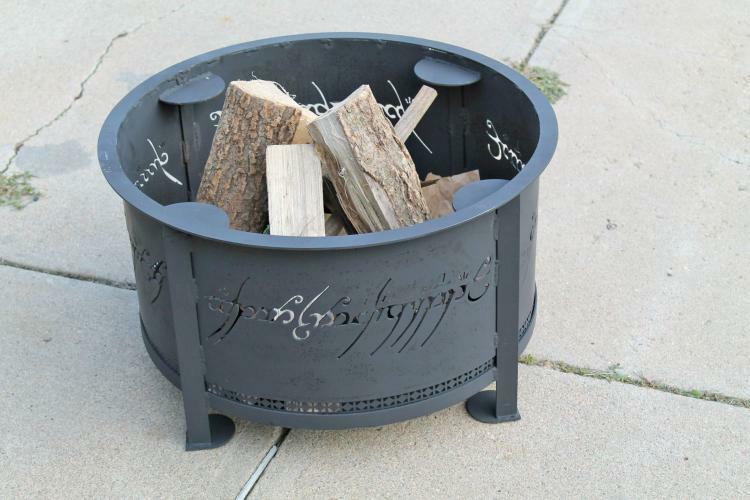 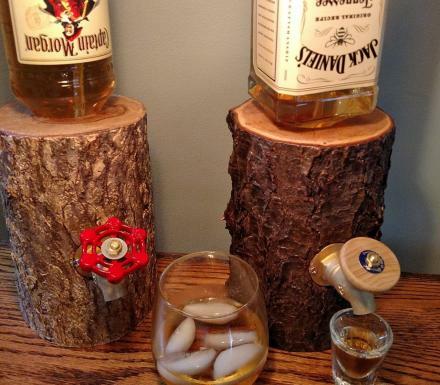 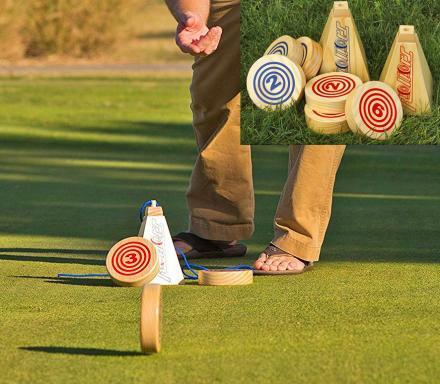 Check out more pictures of this other Lord Of The Rings fire pit below. 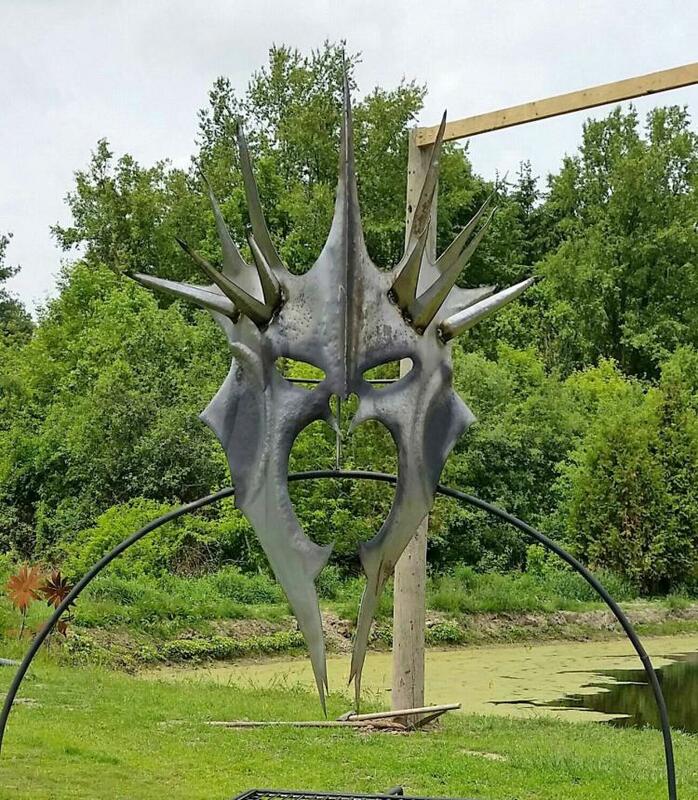 Check out this Lord Of The Rings fire pit with the Mask of the Witch King here.